Vivre Sa View consists of 10 white roses, 10 pink roses and 28 red roses. Please take note that in some cases, delivery may not be done within a specific time requested due to unforeseen circumstances beyond our control. We will deliver the order soonest possible on the date specified. Vivre Sa Vie is basically mean My Live To Live. Is a smaller version of our Vivre D'amour. Is still grand and luxury. No fuss and ready to rock. 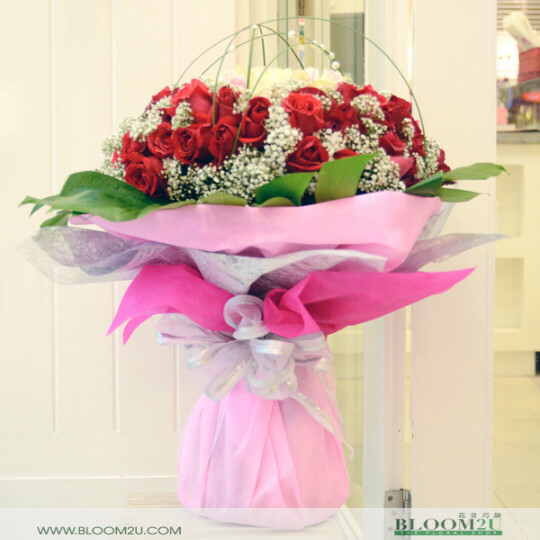 BLOOM2U.com is an best online florist in Malaysia & KL with physical flower shops or florist outlets in Empire Shopping Gallery (Subang Jaya), Dataran Prima (Petaling Jaya) and Damansara Uptown 3 (Damansara Utama). As one of the best florists doing online flower delivery in Malaysia, BLOOM2U.com champions the use of freshly-imported and highly-graded flowers, fillers as well as leafs for our bouquets. Our talented team of floral designers understand the importance of having a wide variety of premium bouquet designs that will help you get a message across to your recipient in the best way possible. 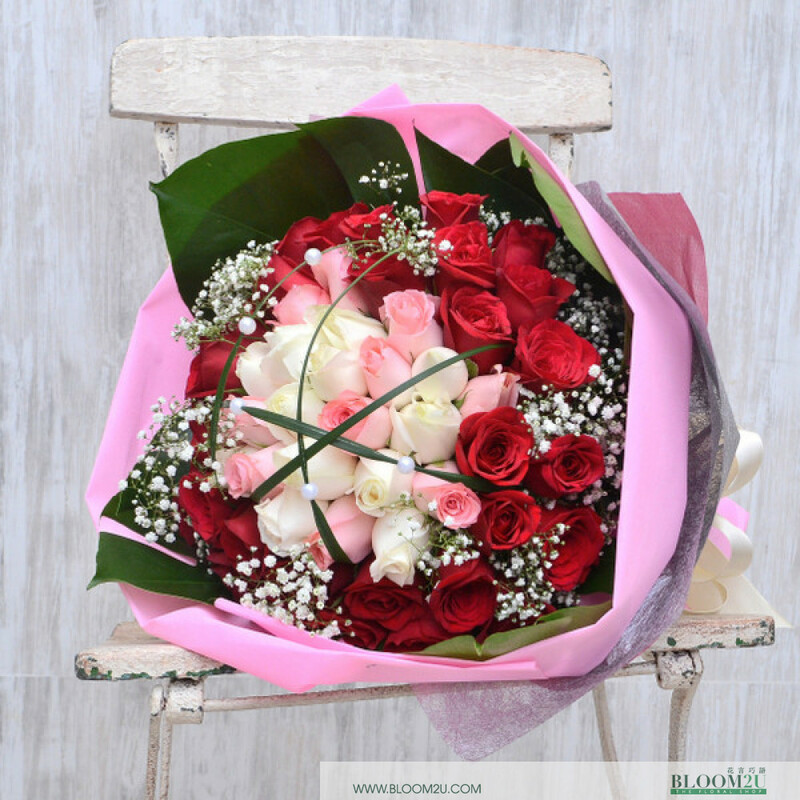 It doesn't matter if you are looking for an elegant tulip bouquet, a romantic rose bouquet or a grand-looking flower stand decorated with different types of blooming flowers, you will find it here on BLOOM2U.com. Even though our physical flower shops are based in the Klang Valley (Kuala Lumpur and Petaling Jaya), we ship our bouquets, flower stands and home decors all over Malaysia. Want to order a bouquet of flowers or a flower stand without visiting an actual flower shop? Need to have flowers or bouquets delivered urgently but don't fancy the idea of getting stuck in traffic jams? Buy them online at BLOOM2U.com which is known as best online florist in Malaysia. We will ship your orders right to your recipient’s doorsteps on the date and within time slot you specified. By the way, we can also provide next day delivery for orders with recipients based in Kuala Lumpur and Selangor. All you need to do is to place your order before 6.00PM and your recipients will receive the flowers you ordered the next day. 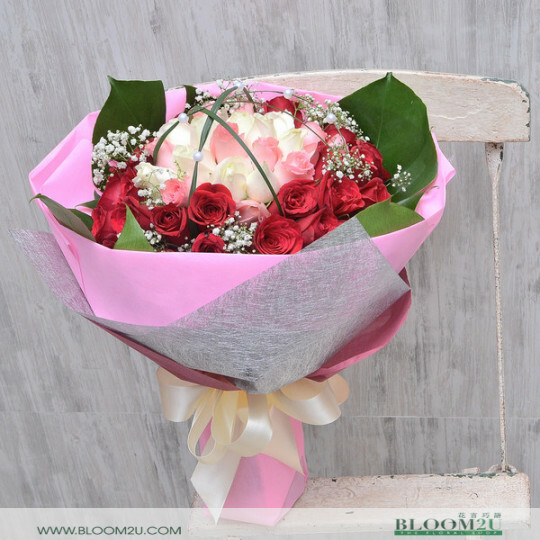 With experience running multiple florists in Klang Valley, BLOOM2U.com has served more than thousands of customers from all over Malaysia and around the world. Our carefully-curated flowers, premium bouquet and flower stand designs as well as our fast and reliable flower delivery service are the top reasons why customers buy their flowers from us over and over again.